Here's the scoop. Tristan and three of his good friends really love this video game called Dota 2. There is a world wide Dota 2 tournament held in Seattle every year in August. 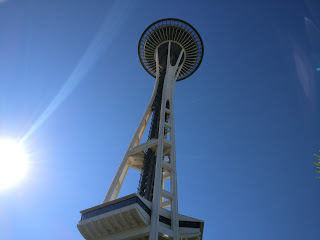 So, we went to Seattle so the boys could see the tournament, and so Blinda, Brett, and I could see Seattle. Turned out to be a great trip. Here are some pictures from the trip.